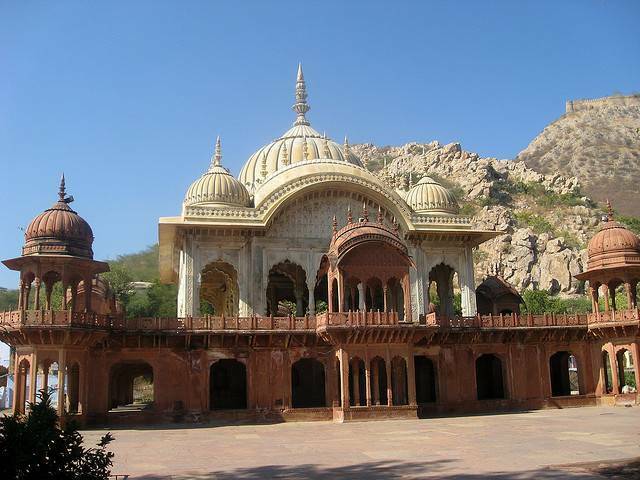 Moosi Rani ki Chatri in Alwar is a cenotaph dedicated to King Bakhtawar Sing and his Queen Moosi. It's adjacent to Alwar City Palace Complex and the Alwar Fort, called Bala Qila is visible from the Moosi Rani Chhatri complex and also the Aravalli hills, which surround it on two sides. The Moosi Rani ki Chatri is such a graceful complex that will want you to come back to it. There is also a reservoir close to it, but unfortunately its not in great shape and water looks slimy.